The former Starbucks CEO, who is weighing a run for the White House, is set to lay out his middle-of-the-road agenda. Former Starbucks chief executive Howard Schultz will announce Wednesday several specific promises and priorities he intends to uphold if elected president, members of his would-be campaign told NBC News. The new pledge, which Schultz will unveil during a speech at Miami Dade College in Miami, Fla., is an effort to bolster his pitch for centrism as he considers a possible long-shot, third-party bid for the White House. Schultz will also commit to assembling a diverse cabinet of Democrats, Republicans and independents, and one that has a greater share of women than that of any previous president. In addition to those specific promises, Schultz will commit to prioritizing a number of objectives, including reducing executive authority, getting the federal budget under control, limiting the power of lobbyists and special interests in Washington, and creating independent commissions to replace gerrymandering. Schultz's pledges are his first attempt to offer a specific outline of what his presidency would be, as opposed to what it would not be. Until now, he has run on an aggressive critique of the two-party system but offered little in the way of specifics. It is also an attempt to make the case that there is widespread consensus on the majority of policy issues, even if that is not reflected in the current political conversation. Schultz's presidential ambitions have been widely criticized by Democrats who fear that his bid would end up helping President Donald Trump retain control of the White House. 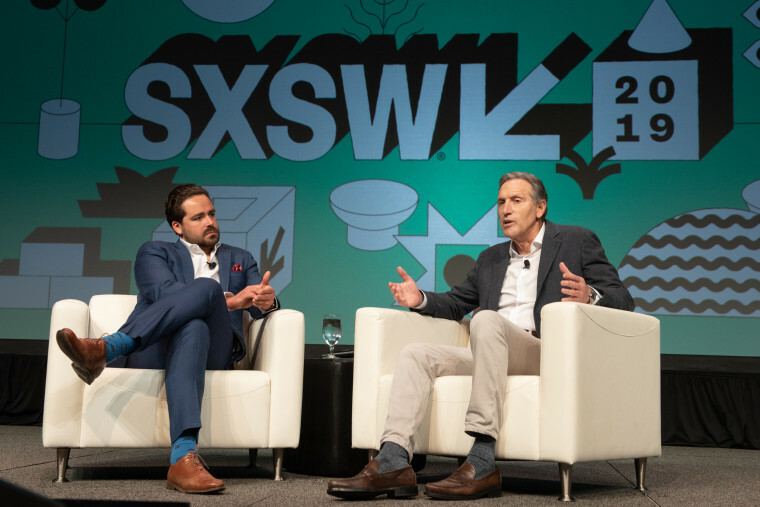 In an interview with NBC News at the South By Southwest Festival last weekend in Austin, Tex., Schultz sought to flip the script on that narrative by instead suggesting that progressive Democrats like Sens. Elizabeth Warren and Bernie Sanders would help the Republican incumbent. "If Donald Trump runs against one of those types of candidates, it's my belief that Donald Trump will be re-elected," he said. "The vast majority of Americans are not going to embrace socialism." At Miami Dade, Schultz will also will say he plans to outline his economic agenda "in the coming weeks," providing more concrete details about how his vision for America differs from the wide field of Democratic nominees.